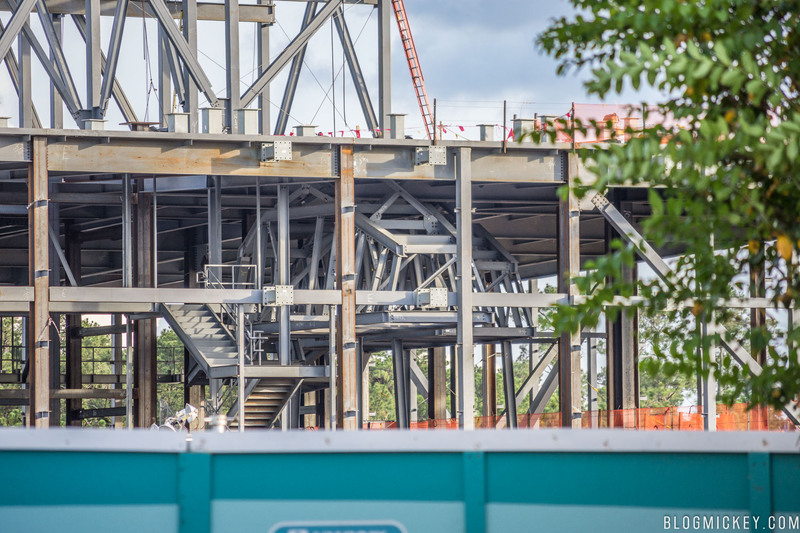 While the best angles of Star Wars: Galaxy’s Edge construction is from the air, we made it out to Hollywood Studios recently to take a look at the construction from within the park. 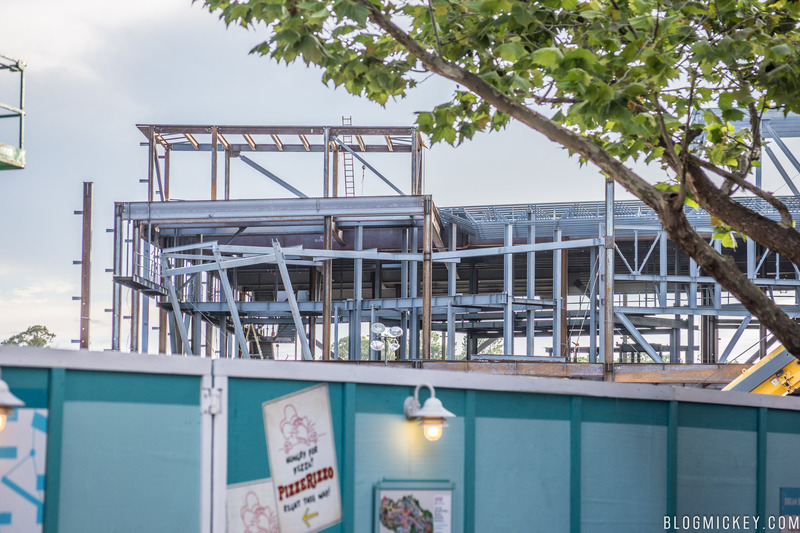 First, let’s take a look at the Battle Escape show building from Pixar Place. 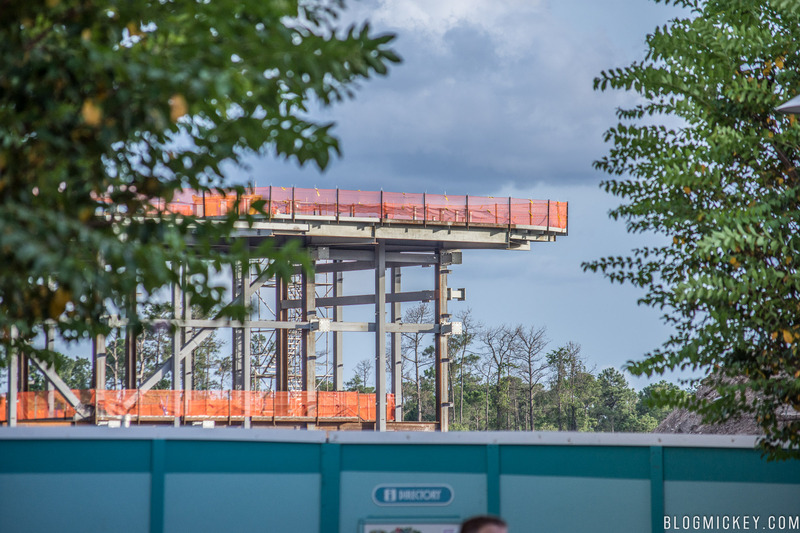 Construction is expanding to the east (left) from the main structure (right). Panning to the right of the above image, we’re able to see the AT-AT bodies, now completely surrounded by steel. Allowing ourselves to continue to the right, we see an overhang with some foundations protruding from the top. 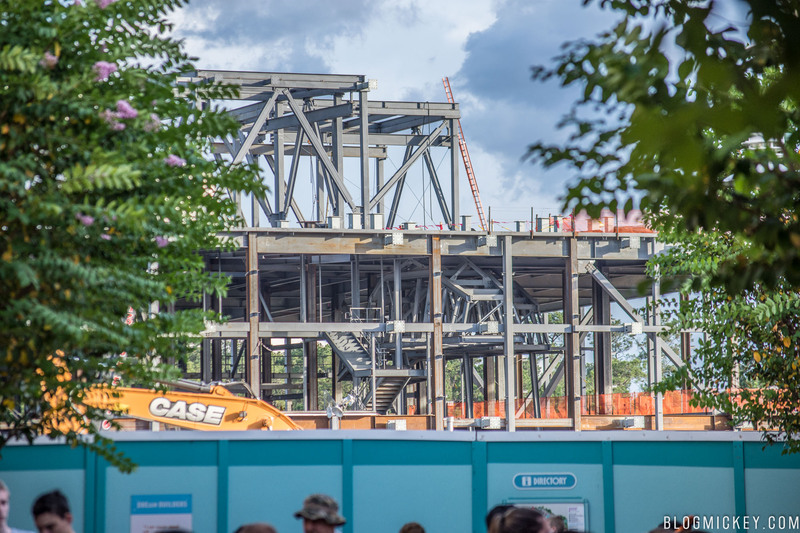 The most interesting part of our photo update comes when we shift our vantage point by 70-80°, walking towards the MuppetVision 3D exit. Upon first glance, it looks like a tangled web of steel, but the angled steel sticks out like a sore thumb. 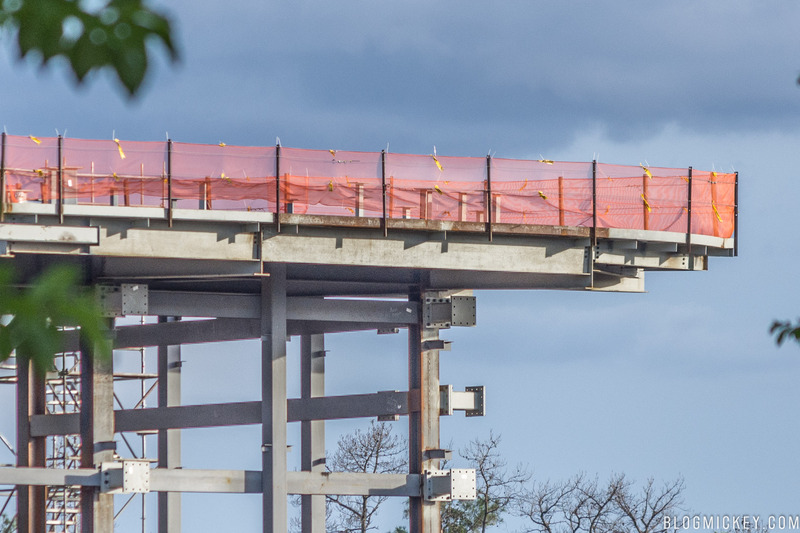 This photo from the Disneyland construction site shows similarly angled beams, but a bit further along in construction. Now take a look at the following concept art. 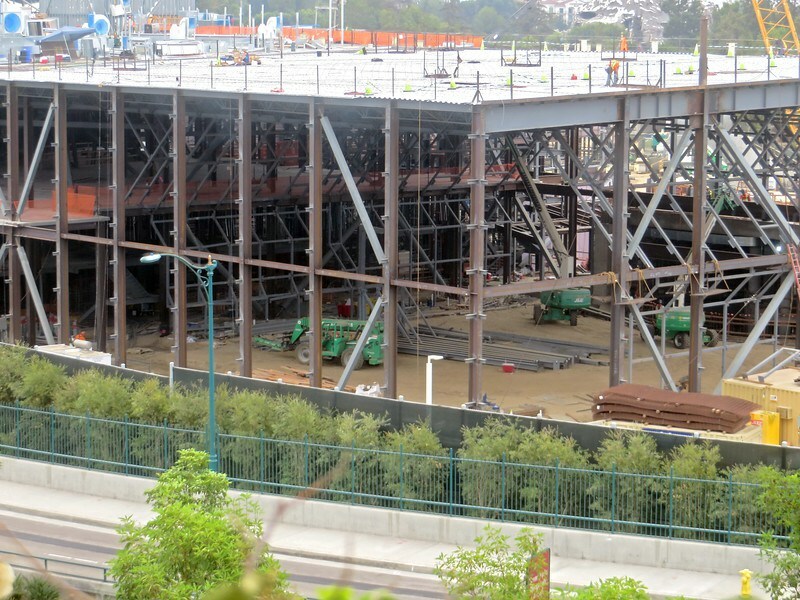 The angled steel appears to be the perimeter wall in the giant hangar that we’ll be visiting. 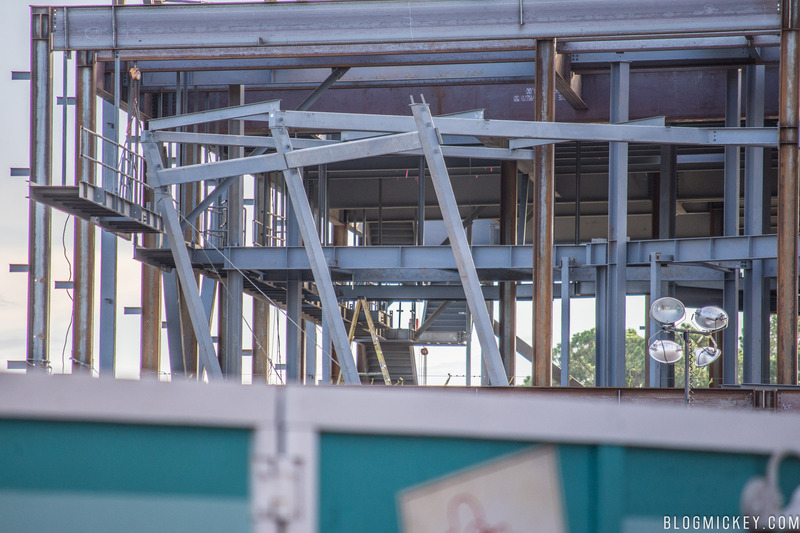 Here’s a closer look at our construction site. 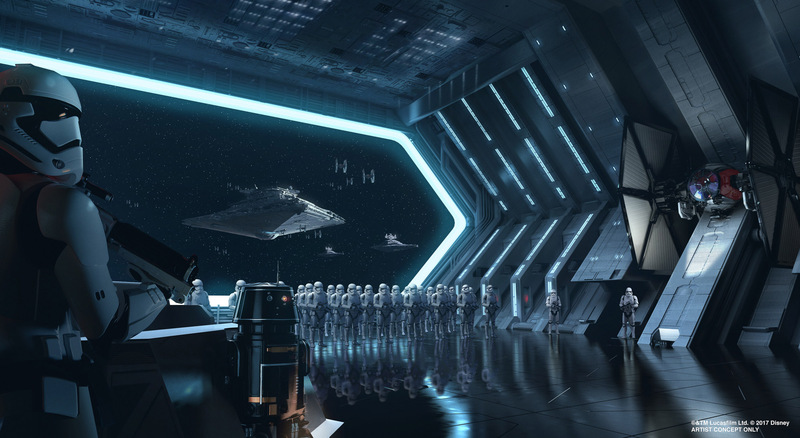 Star Wars: Galaxy’s Edge will open in 2019.